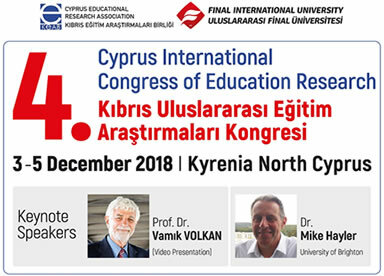 We are pleased to host the 4th Cyprus International Educational Research Congress (CICER'18). 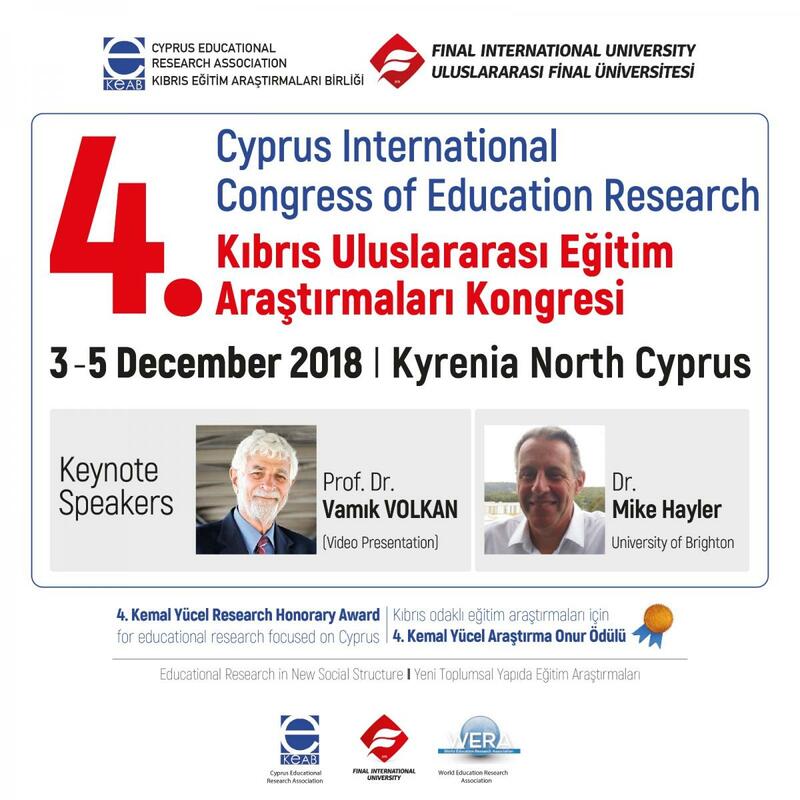 This conference is a collaboration between the Cyprus Educational Research Association and Final International University and takes place between 3-5 December 2018 in Kyrenia, Cyprus. The theme of the congress is Educational Research in the New Social Structures. It is clear that preparations for the Industry 4.0 era have begun around the world. However, many countries are failing to carry out the necessary reforms in their educational systems to train the necessary human resources for this new era. With these concerns in mind, we believe that educational researchers should do whatever is in their power to contribute to these preparations. To build a sustainable future, we felt that it was necessary for educational researchers to have a platform to share their concerns and research in this respect. Hence, the selection of this year's theme. With this congress, we aim to provide an international platform for educational researchers to network with others, share their findings, and contribute to the field. Contributions in Turkish or English can be made via oral or poster presentations. Workshops and key speaker presentations will also be organised. Finally, as has become an annual custom, in order to strengthen the contributions made by researchers to the field of educational sciences and emphasize the importance of such studies in the field, the 4th Kemal Yücel Honorary Research Award will also be presented. We look forward to your participation in this event.